Salavat Fidai gave up a steady desk job for the sake of a few pencils—a decision that dramatically altered his life. Now his pencil mini-sculptures are popular all over the world. HBO even used them to announce the seventh season of Game of Thrones. Season 7 of Game of Thrones will be out soon in Russia: the release date is on July 17, which almost coincides with the U.S. premiere. 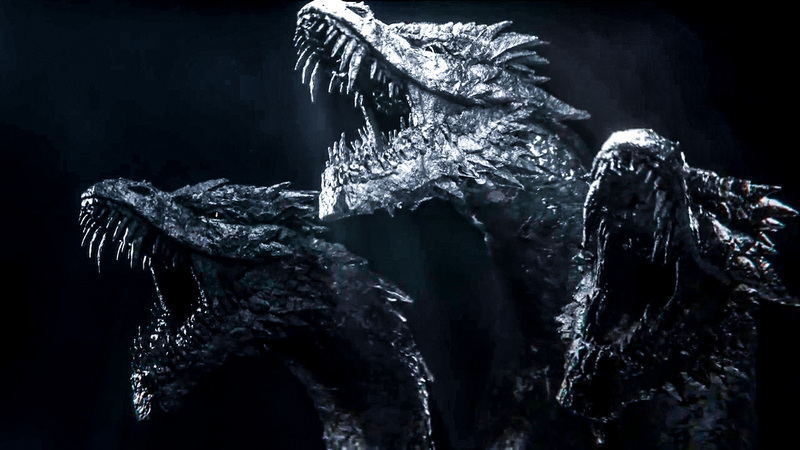 The Russian trailer is of particular interest to fans of the series: in it, the actors are replaced by miniature lead carvings of the warring clans’ symbols: Dragon, Lion, Rose, Wolf and Deer. HBO was greatly impressed by the works of Russian sculptor Salavat Fidai, who carved the figures out of simple pencil lead. www.salavatfidai.comSalavat lives and works in Ufa, the capital of the Republic of Bashkortostan. He began making graphite carvings three years ago, in late 2014, having left his job as the vice-president of a large company. “I was so tired of the daily grind. Nothing but endless meetings. I felt like I was degenerating and living a boring life,” he told RBTH. By that time, Salavat had more than 20 years of pen-pushing under his belt, which he traded in for pencil-carving. Salavat spent a year trying to “find” himself. That happened only after hooking up with a childhood friend who reminded him of a long-forgotten hobby. Born into a family of art teachers, Salavat himself graduated from art school. Having rediscovered his passion, the first thing he tried his hand at were miniature copies of famous paintings, which he drew on pumpkin and sunflower seeds, rice grains and matchboxes. One such picture, “The Starry Night” by Van Gogh, Salavat sent as a gift to the director of the Van Gogh Museum in Amsterdam. His first graphite works were the popular comic book characters Batman and Darth Vader. Even in school, Salavat made figures from chalk and enjoyed wood-carving. That is the flame he rekindled after so many years. Graphite is a very brittle material, so very often the sculptures fall to bits. “I don’t get mad. On the contrary, it stimulates me even more. Every new sculpture is like a personal challenge. Am I up to the task? That's the question,” says Salavat. Salavat’s work tools are an ordinary craft knife with replaceable blades and a microscope. The pencils for his sculptures are also standard, with a diameter of 2 mm or less. He does not use glue or photomontage: all the sculptures are made from a single piece of graphite. Since 2015, Salavat has been working with some renowned foreign companies. For the Italian firm Perpetua, which makes eco-pencils out of recycled graphite, he has produced sculptures for three ad campaigns, including figures from Star Wars and a series for the Rio Olympics. Last year, Salavat began working with film studios. He made figures for the movies Miss Perigrin’s Home for Peculiar Children and Planet of the Apes, and the cartoon Kubo and the Two Strings, before collaborating with HBO. An exhibition of his works for Game of Thrones opens in Singapore on April 22. Some of his mini-sculptures for the series have already been posted on Instagram.